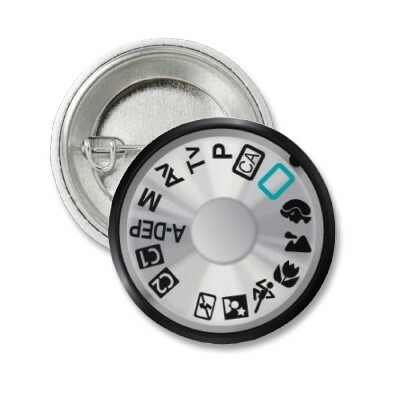 Mode Dial or Setting Knob of Digital Camera for changing the mode of operation of the camera is usually present in all DSLRs and most Compact Digital Cameras. 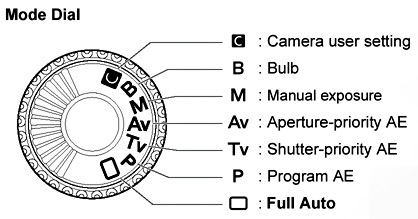 In most cameras, Mode Dial or Setting Knob of Digital Camera is present on their upper parts and offers access to the manual mode, semi-automatic and automatic modes. Mode Dial or Setting Knob of Digital Camera now actually resembles the Mode Dial or Setting Knob of older SLR cameras at look only. They are not actually works on mechanical principle but they works like a mechanical device or controller based on Software. The number of modes varies according to the manufacturers and the quality of the camera. In the Compact Digital cameras, one can choose among several modes, usually all are automated, often manufacturers combine the physical knob to act somewhat like a joystick to see manipulation on the LCD display screen. The DSLRs Mode Dial or Setting Knob allows to choose from several variety of modes including automatic, semiautomatic and manual mode. That means the Mode Dial or Setting Knob of DSLRs actually has retained some functions of older Film SLRs. This is actually done for easy switchover for the professionals from Film to Digital. P (from the Program) – automatic mode, allows a limited intervention in the parameters of the picture in the form of a relation to the aperture shutter speed. Av or A (from Aperature Value, Aperature) – aperture priority, semi-automatic mode – user can set the aperture value, for which the camera calculates the shutter speed. Tv or S (Shutter Time or Value) – shutter priority, semiautomatic – user can set the shutter speed, for which the camera calculates the aperture value. M (Manual) – the manual mode, all exposure parameters are set by the photographer. Depending on the manufacturer’s, to facilitate photography in certain common circumstances, such as landscapes, portraits, objects in motion pictures there can be additional points. The quality of Mode Dial or Setting Knob of Digital Camera varies with the price of the Camera. From plastic, through Matt finish metal to 18K Gold Plated, all can be found. This Article Has Been Shared 6533 Times! Cite this article as: Abhishek Ghosh, "Mode Dial or Setting Knob of Digital Camera," in The Customize Windows, June 20, 2012, April 25, 2019, https://thecustomizewindows.com/2012/06/mode-dial-or-setting-knob-of-digital-camera/.